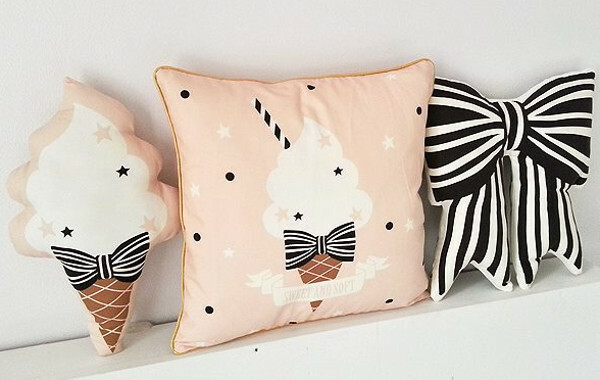 Nothing says cosy and comfortable like a scattering of gorgeous cushions. And in a nursery, they’re purely for show – so why not make them show-stopping like these beauties? 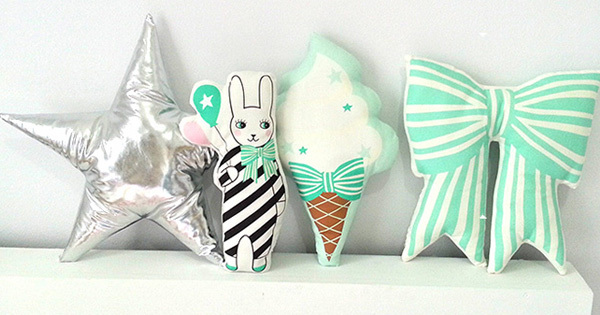 Hunting for stunning nursery items just happens to be one of our favourite things to do, and we’re pretty good at it. 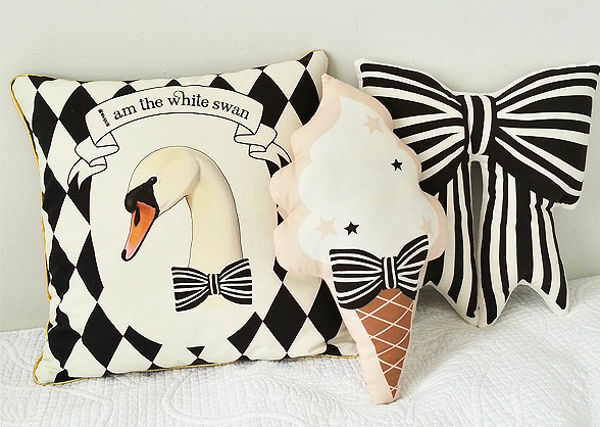 Just look at these stunning cushions we’ve found from Suella. Let’s start with the traditional shapes, the lovely square cushions. Harlequin backgrounds with pandas or swans, ice creams and stars or fairies and rabbits. They’re a little quirky and a whole lot bright and fun. The square cushion covers cost $35. I am quite partial to the adorable shaped cushions. The ice creams and bows in particular are pretty amazing, and cost $40. I also love the stars, which start at $30, or splash out on the metallics for $35. 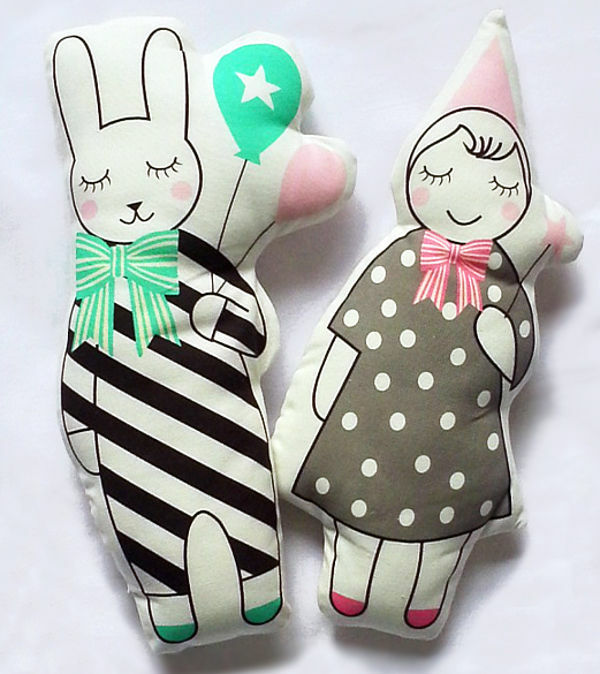 They’re all available from Suella, which has free shipping for orders over $50.